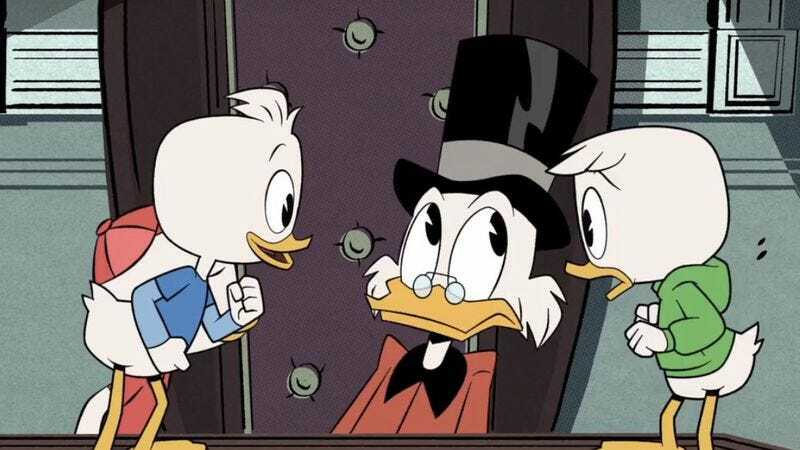 Anticipation for DisneyXD’s DuckTales reboot has been riding pretty high ever since the voice cast was first announced, which was just stoked further by the first trailer for the animated series. The cable network is showing the same kind of excitement on its end, announcing plans for a 24-hour premiere of the reboot on August 12. It’s just the hourlong premiere that will air back to back (and so on) in that 24-hour period, but it’s a TV movie, and will probably bear repeat views, because again, look at the cast: David Tennant, Ben Schwartz, Danny Pudi, Bobby Moynihan, Kate Micucci, Beck Bennett, Toks Olagundoye, and Lin-Manuel Miranda. The premiere marathon kicks off August 12 at midnight on DisneyXD, then you’ll have to wait until September 23 for new episodes, but that’s just because it’s the 30th anniversary of the original series. So, you can look forward to catching two new episodes just one month after the premiere, which is hardly a raw deal. DisneyXD has also released the new opening credits, which are a chirpy reworking of the original.